If your dog is anything like mine, a harness will solve the problem of constant pulling on leashes and choking during walks. 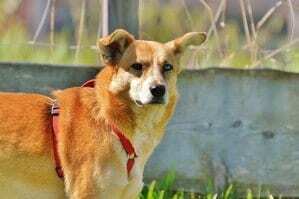 Dogs may pull on their leash for different reasons. For instance, some dogs just don’t like stuff around their necks while others, like mine, didn’t get proper training and aren’t used to being on leashes. 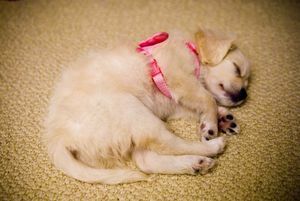 Now, there are many types of harnesses to compare and pick from on the market, so it is vital to pick the right one for your pet. There are things to consider such as size, quality, and safety. The wrong size may cause many problems. Investing in a good quality harness brings security and a certain level of comfort for both you and your pet. Whereas, poorly constructed harnesses will more than likely break easily or cause discomfort. Sure, every dog is different and finding the right harness for your pet may require some trial and error. But what if you don’t know where to start? I’ve researched on your behalf and came up with a list of the top-rated harnesses on the market. 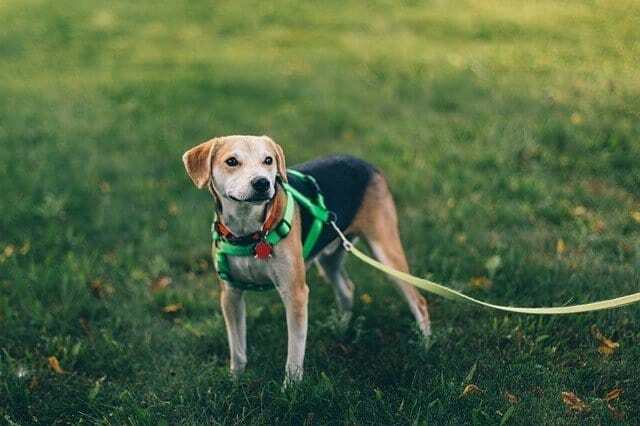 We’ve picked the best dog harness for 2019 based on their performance, ratings, and reviews amongst many dog owners. This is one of the most interesting item on the market. 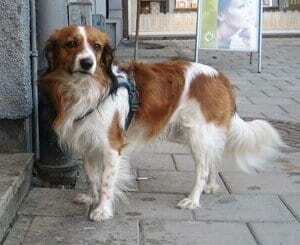 It provides visibility, allowing vehicles to spot your pet from afar in order to ensure its safety. You can choose from 8 bright and solid colors – yellow, red, blue, magenta, purple, green, pink, and cyan. If you prefer, set up one of the six flashing color modes – rainbow, cool comet, disco dog, rescue, photon burst, and Independence Day. This makes the vest visible from half a mile away. The Noxgear Lighthound is made of 3M reflective bias and Cordura fabric which means it’s durable and can withstand all kinds of weather and adventures. When it gets dirty, all you have to do is throw it in the washing machine with the rest of your laundry. Most people like it because it is easy to use since it comes with a leash attachment. It’s easy to clip on as well as unbuckle. It is especially convenient because it’s adjustable. It gives a comfortable fit,which allows you to adjust both neck and chest areas. It comes in all sizes, with large easily fitting a Labrador and breeds similar in size. Overall, the Noxgear is convenient due to the fact that it is visible in the dark, comfortable, and fits all dogs. We consider this to be the best dog harness. This handmade harness from Menkar is one of the most lightweight but durable models. The Menkar is made of ballistic nylon webbing, 3M reflective stitching and an oxford outer layer that’s scratch resistant. Its ergonomic design and safety features make it easier to control your pet and protect it from traffic. You can easily put it over your dog’s head and buckle it on both sides. The strap comes with a handle on the back which is ideal for when you need to pull or lift your dog. Due to the straps on the side, your canine can lay comfortably while still wearing it. Of course, there is no choking or any discomfort since the Menkar minimizes shoulder strain. It allows full movement and helps with training. It’s great if you’re looking to teach your dog how to walk calmly without pulling. It’s also padded with a sponge in the back panels and chest. This not only provides comfort but it protects your pet, too. Most people who use this type of strap, like it for its ease of use and support. The Menkar is simple to put on and allows you to adjust it to your pet fully. When dirty, you can wash it in the machine or by hand with mild detergent. This one is for the large and extra-large hounds. Still, make sure to measure your dog before purchase, so you know which size will fit the best. It’s made of heavy-duty materials and lined with comfortable fleece. The outer cover is made of 600D oxford fabric. These materials allow you to roll the harness and pack it wherever. It’s scratch resistant and durable. What’s best about the Lanney is its safety, in that it’s great for lifting your large companion if it’s having back or leg pain. If it is maybe recovering from an injury, this product would be great to help during rehabilitation. Not only that, but the Lanney is great for senior dogs that suffer from different conditions such as arthritis. Another great feature is that it buckles on the back, which many owners find more convenient than when it buckles on the stomach. Wash it easily in the machine or by hand, but make sure only to air dry it. The Petacc Uarter is made of nylon, skin-friendly fleece-lining that is weather resistant and comfortable. It fits most medium to large pets that are up to 150lbs. It’s convenient because it comes with double layered nylon handles that offer a better grip and easy control over your canine. Your companion will no longer pull on the harness. This item has a reflective strip that allows others to easily spot your pet in the dark. It’s adjustable around the chest area, which means that the Petacc Uarter is not tight around your pet’s neck. This allows your hound to walk freely and at ease without gagging or choking. The petacc features a D-string for you to attach a leash to it, or tie it to a seat belt when driving with your pooch. This product clips on easily and is secure, so there’s no way your pet can accidentally remove it or take it off. Overall, it’s easy to put on and take off, which is quite crucial since canines often hate waiting for that. It comes only in large. For some people, the buckles are a bit too heavy-duty, but if you own a large breed, this will be viewed as more of a benefit. If you own more than just one dog, this might be a good option. The PetAZ comes in all sizes to fit different breeds. However, make sure to measure your canine first to ensure that the PetAZ fits perfectly. It’s designed to help canines that are recovering or aging. It allows you to support them when they’re standing up, using car ramps, or generally have limited mobility. It’s especially convenient for canines that have arthritis, spinal trauma, hip dysplasia, etc. The best thing about the PetAZ is that it features adjustable handles. This means it fits all pet owners regardless of their height. It’s also easy to carry around since it’s lightweight and compact to store when not in use. The PetAZ is made of scratch resistant and durable Dacron. Also, when it gets dirty, just wash it by hand or in a machine. Pet owners that use the PetAZ warn that it does run a bit small, so keep that in mind when thinking about sizing. You can read our full in-depth PetAZ Lift Harness guide for more information. This heavy-duty harness is perfect for small, medium, and large breeds. It is ideal for walking and will not tangle. At this price point, you won’t find a better value. 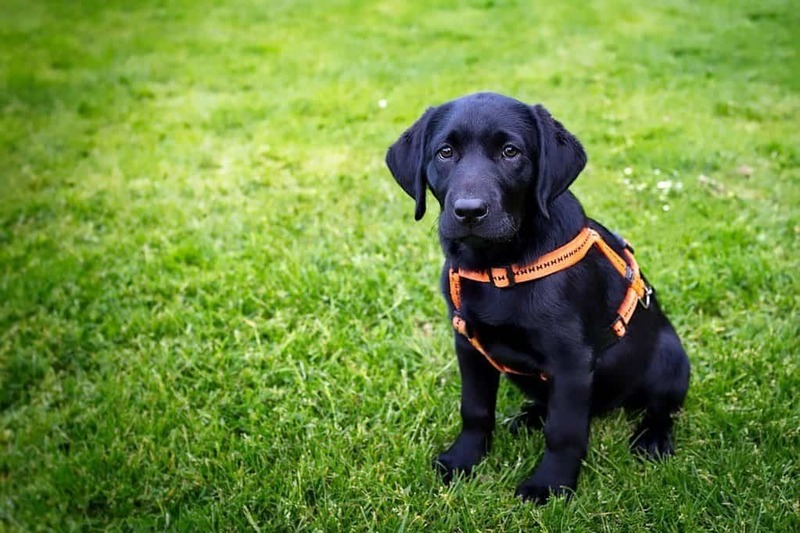 The orange high-density nylon and padded cotton make this harness extremely durable, comfortable, and visible. Also, to add to the URPOWER durability, it features stainless steel D-rings, buckles, and hooks, which are guaranteed not to rust. It comes in 3 sizes (S-L) and fully adjustable so it shouldn’t be hard to find the right fit. It is fast and easy to put on, which is perfect if your dog is the fidgety type. For the right fit, all you need is your dog’s neck size and chest circumference. It also comes with a 180-day warranty. These harnesses do run a little small, so you may want to order a larger size and then adjust it for a smaller fit. This nylon harness definitely lives up to its name perfect for “easy” walks. It comes in numerous sizes so it can fit canines from under 10 pounds to 90-plus pounds. Each harness has 4 adjustment points which help give the harness a better fit. The PetSafe Easy Walk harness comes in 7 different stylish colors and will definitely turn heads while you and your furry friend are out for a walk. Also, the front attachment for the leash allows you to steer smoothly and control your dog. 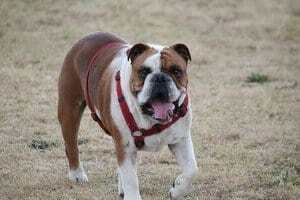 To find the right size, you will need your pet’s chest width and girth. This harness is easy to slip on and off. The straps rest along the chest and belly and will not put any pressure on your canine’s neck whatsoever. You will not be disappointed at this price point. This PetSafe harness features a minimalist design and will not put pressure directly on your canine’s neck. Its 3-in-1 design includes a front leash attachment (sold separately) to help with pulling. It also features a back attachment and a car safety restraint. It definitely is versatile and worth every penny. The PetSafe comes in 3 colors and is made of nylon and features reflective stitching to help keep your pet visible in dark conditions. For a more custom fit and feel, it has 5 adjustment points. It comes in 4 sizes (XS – L) to support pets ranging from 10 – 130 lbs. To ensure you have the correct size, you will need to measure your pet’s chest and shoulders. PetSafe’s 3-in-1 harness is simple to put on and excellent for your dog’s everyday walks. Veterinarians and trainers recommend the PetSafe and say it is okay to use on puppies as young as 8 weeks. This harness is made with durable nylon and a soft neoprene lining. The neoprene collar lining makes this product extremely comfortable. The product utilizes 3M stitching to help with visibility while you’re walking at night. This item features a leash attachment on the front and back to help control your pet. Also, there is a sturdy handle across the back, which makes it easier to pick your canine up. The HALTI harness features an ergonomic design and comes in 4 fashionable colors. It is available in 4 different sizes (XS – L) and has a 5-point adjustment, so it shouldn’t be hard to find the perfect one. For sizing, all you need is the circumference of your pet’s chest. This high-quality harness is safe to throw in the washing machine and is quick to dry. The dog-friendly harness is easy to put-on and waterproof. Your pet canine will definitely love this accessory and the breathability it provides. This harness is extremely easy to put on and take off. The hi-tech material is durable and provides 360-degree reflectivity, making your pet visible from as far as 300 feet at night. So this product is perfect for nighttime walks. In order to find the correct size, you will need the chest and neck girth of your pup. For a more custom and secure fit, the harness can be adjusted at 4 different points. The ergonomic design is meant to take the pressure off of your pet’s neck. It comes in three sizes (S-L), but only one color (blue). For this price point, you’re definitely getting great value in return. Something else to consider is there is a matching blue collar and leash sold separately. The Embark Reflective harness is well-made and sturdy. It can be stiff fresh out of the box but will loosen and soften up as you continue to use it. Your pup will definitely love wearing this on your walks. Not only are these safe for your companion but are widely used in many situations. They’re great because they help stop tugging and pulling during your walks together. As you know, when a canine is pulling on a leash it tends to cause choking and discomfort. At least with a harness, even if your dog doesn’t stop pulling, the walk won’t be as uncomfortable since it doesn’t go around the neck in the way that a leash does. They simply offer more support and are more comfortable than a standard leash. While it’s exciting to buy all the necessities, bare in mind that there are several types available. Each one plays a different role, so it’s important that you do your research prior, before picking one. With that said, let’s look at the different features or options first before deciding what are the best dog harnesses for your pet. Having a no-pull harness can significantly help with training and behavior. 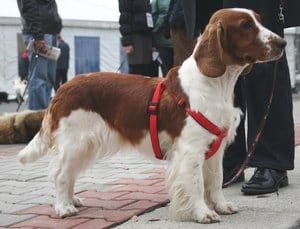 Most trainers and experienced owners rely on these types of harnesses in this case. If you have an aging pet or is recovering from surgery, a harness with handles can be a great help. Using handles that most harnesses have will allow you to help your dog while walking. What’s even better is that most of the higher quality products feature adjustable handles to fit the dog owner’s height, too. Finding a harness for hiking is great for all who enjoy going outdoors with their dog from time to time. Also, you should consider purchasing one made specifically for running. 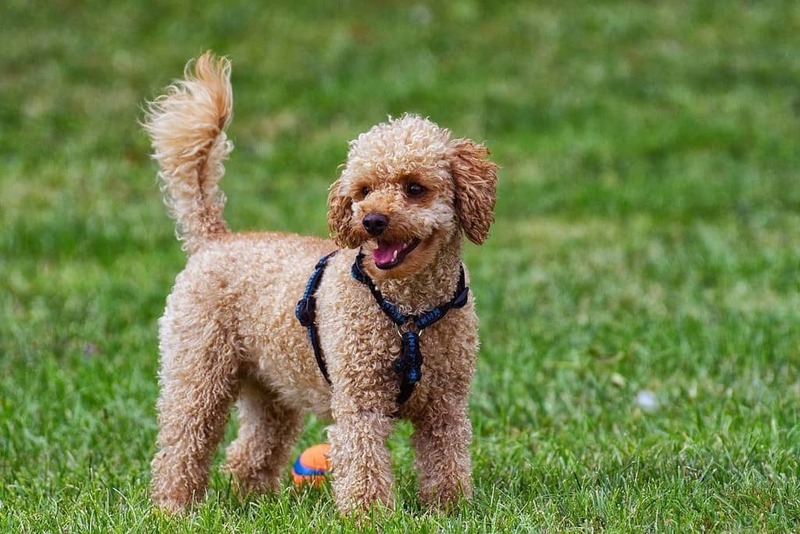 There are various products that are great for active breeds and their owners. Can You Use a Harness at All Times? 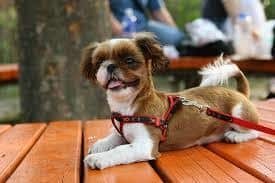 It’s certainly helpful if the harness buckles on its sides or back because if it buckles underneath your pet, it may be uncomfortable for them. The harness itself is safe to leave on at all times since most quality models are made of comfortable and breathable materials. Make sure you know how to put the harness on to avoid mistakes and possible discomfort. 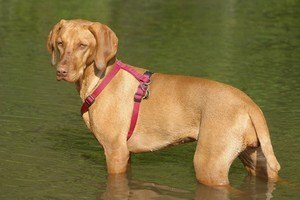 Are Collars or Harnesses Better? First and foremost, harnesses are more comfortable, especially if your pooch isn’t used to walks and is pulling all the time. They provide better control over your pet since they have better grip altogether. If your little friend isn’t trained or simply doesn’t like having anything around its neck, a harness is a better option than a collar. Can I Buy Harnesses at Petco? Unfortunately, none of the brands mentioned are available at Petco. You’ll have to purchase them through an online store. The most popular, Noxgear, is one of the exceptional models highly rated on the market. It features all you need to make walks more enjoyable for both you and your pup. Also, it’s easy to use, which is more important than most people think. However, most people choose this product because it shines in the dark and is considered “higher” quality. Make sure to consider all factors so you’re certain that you find the best dog harness for you and your pet friend.